Rosa M. Badia holds a PhD from the UPC (1994). She is the manager of the Workflows and Distributed computing group at the Barcelona Supercomputing Center (BSC). 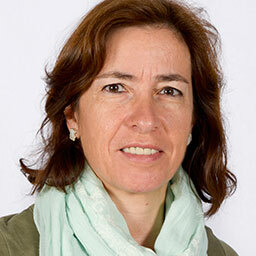 She is a Scientific Researcher at the Spanish National Research Council (CSIC). She graduated on Computer Science at the Facultat d' Informàtica de Barcelona (UPC, 1989). She was lecturing and doing research at the Computer Architecture Department (DAC) at the UPC from 1989 to 2008, where she held an Associate Professor position from 1997 to 2008; she is currently part-time lecturing again at the same department. The initial research topics were high-level synthesis of asynchronous circuits (PhD topic), hardware-software co-design of reconfigurable computing and performance analysis of distributed applications. In that period, she was involved in subjects related to computer structure, VLSI design and high-level synthesis. She was an Associated Professor from year 1997 to year 2008. Also in that period, from 1999 to 2005 she was involved in research and development activities at the European Center of Parallelism of Barcelona (CEPBA) in topics of performance prediction of distributed applications, resource management in grid environments and programming models in grid environments. 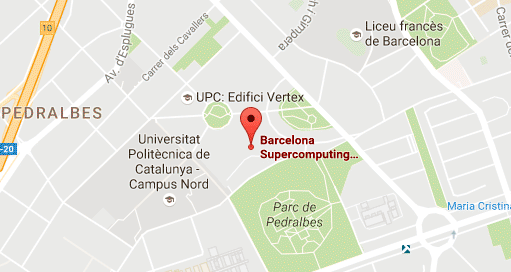 From year 2005 with the start of the activities of the Barcelona Supercomputing Center she was nominated group manager and she starts her activities in that center. Her current research interest are programming models for complex platforms (from multicore, GPUs to Grid/Cloud). The group led by Dr. Badia has been developing StarSs programming model for more than 10 years, with a high success in adoption by application developers. Currently the group focuses in one of the StarSs instances, COMPSs/PyCOMPSs for distributed computing including Cloud. For this last case, the group has been doing efforts on interoperability through standards, for example using OCCI to enable COMPSs to interact with several Cloud providers at a time. Dr Badia has published around 200 papers in international conferences and journals in the topics of her research. She has participated in projects from the Spanish national plan since year 1989 (TIN) and in several European projects, for example BEinGRID, Brein, CoreGRID, OGF-Europe, SIENA, TEXT and VENUS-C. Currently she is participating in the project Severo Ochoa (at Spanish level), and at European level MuG, BioExcel, NextGenIO, mf2C, TANGO, CLASS, ExaQUte, LANDSUPPORT and the ETN EXPERTISE and it is a member of HiPEAC2 NoE. She has also participated in contracts with companies, such as NOKIA, Microsoft, IBM and Intel, and Fujitsu. Full time assistant and associated professor at UPC from 1989 to 2005, on topics computer structure, VLSI design and high-level synthesis. Since 2011, part time professor at UPC on Parallelism.